Since news that AMC’s the Walking Dead would be getting a spin off show fans have been speculating the details. At one point it looked like the gang would split up in two groups and show the adventures both paths would lead to. TVline.com is reporting that the new series will actually be set in LA and follow a whole new cast dealing with very different scenarios. The show could even be a prequel which starts a few weeks before the first series did and show the outbreak in development. Being set in a whole different state we could see a lot of changes from the current Walking Dead series. Some people think the series will be based in a city where the survivors out number the walkers. Where wouuld this group head to or would they stay where they are living in a Hollywood mansion. 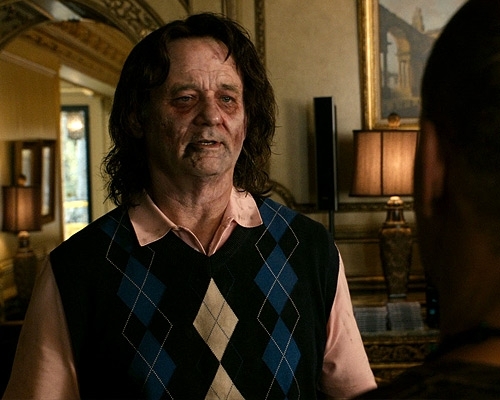 Lets just hope they don’t kill Bill Murray. It’s going to be an interesting concept when it comes out as it could be very different to the Walking Dead we know now.